Interweaves Eastern European postwar history, dissidence, and literature to expand our understanding of the significance of this important Lithuanian writer. 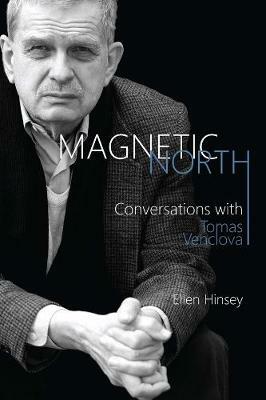 Magnetic North: Conversations with Tomas Venclova is a book in the European tradition of works such as Conversations with Czeslaw Milosz and Aleksander Wat's classic My Century. Taking the form of an extended interview with Lithuanian poet Tomas Venclova, the book interweaves Eastern European postwar history, dissidence, and literature. Venclova, who personally knew Akhmatova, Pasternak, Milosz, Brodsky, and many others, was also one of the five founding members of the Lithuanian Helsinki Group, one of the first human rights organizations in Eastern Europe. Magnetic North provides an in-depth account of ethical choices and artistic resistance to totalitarianism over a half century. It also details Venclova's artistic work, expanding our understanding of the significance of this writer, whose books are central to contemporary European culture. The publication of this book was supported by the Lithuanian Culture Institute. Tomas Venclova is a Lithuanian poet, writer, scholar, and translator. He is Professor Emeritus of Slavic Languages and Literatures at Yale University. Ellen Hinsey is the author of numerous works of poetry, essay, and literary translation. Her most recent book is Mastering the Past: Contemporary Central and Eastern Europe and the Rise of Illiberalism.